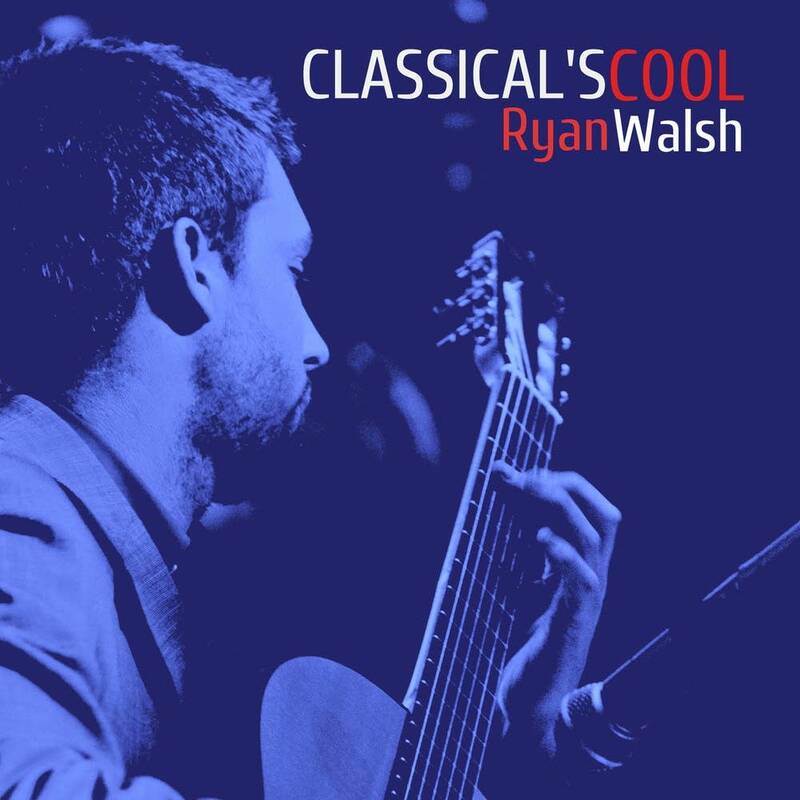 Ryan Walsh, Classical's Cool © 2014 Ryan Walsh. If you're traveling this holiday season, you're probably looking forward to meeting up with family and friends. You're probably not looking forward to the crowded highways and airports. Here's one word of advice you've probably heard before: Get to the airport early. Not just to get a jump on that long security line, but because you'll have more time to relax, and perhaps to enjoy something less stressful  like classical guitar music performed by Ryan Walsh. The first time I encountered Ryan was while I was waiting for a delayed flight in Portland, Ore., where Ryan plays regularly in the airport concourse. Ryan says after years of traveling to far-off places like Spain to study and to perfect his technique, he now craves the opportunity to connect with people and to share his art in any way possible. "And I consider that to be one of the focal points of my life right now and it's been moving in that direction for a long time," he says. "The PDX [Portland's airport] is a great example of that, because where are you going to get more exposure than playing post-security in that main lobby where literally thousands of people are walking by every day?" A busy airport was also a great place for Ryan to feature music from his debut recording, titled Classical's Cool, which follows the meandering path he's taken around the world. "There's a lot of South American and a lot of Spanish influence there," he says. "It would be a mistake to just categorize music from Spain in the same category, because there are different subsets of that genre that are very different from each other. Miguel Llobet  he is a Catalan composer and his music is very unique. It's like folk music from Catalonia  which has nothing to do with the flamenco music you'd hear from Andalusia in the south. I traveled all around that country during my time there, and most definitely all of the different parts of the country and all of their traditional styles of music resonate with me very deeply. "And you also have Erik Satie who is probably one of the most notable influences in my music," Ryan continues. "I really admire the kind of the spacious and simplistic, melodic quality of his music. There's not a lot of bells and whistles. And I feel that he doesn't try to do too much and values the space between the notes. And for me, I find that in that space between the notes, there is something very, very valuable in the contemplative nature of it. Because music needs to be able to settle in  that's part of the experience of enjoying art. It's not just something that washes over you and overwhelms you and it just races by and then it's gone. And … in that sense, I would say that a lot of his compositions, at the very least … I don't know if I would say emulate, but there's something about it that I find inspiration in, at the very least. And when I notice ideas popping up in my own imagination that remind me of things I've heard in his compositions, I find that to be a delightful surprise and I go with those." Four original compositions appear on Ryan's debut release. As you might suspect, his inspiration comes from the sights and sounds of the world around him. "I think in particular I derive a lot of pleasure and inspiration from the natural component of this world in the Northwest," he says, "which I consider, after having traveled quite extensively, to still be the most beautiful place I've ever been. And I feel strangely fortunate to have been able to grow up amid the lush greenery and the coastlines  yeah, I would say that a lot of the music that I write has kind of a wistful, melancholy, contemplative nature to it, which for me is very reminiscent of the long, grey, kind of quiet and dormant months of winter and fall that we experience here. And that's something that I find great beauty in myself." Beauty, and elegance. These are Ryan's greatest priorities when he's making music. "I've always had a kind of deep and kind of spiritual appreciation for well-done art and specifically music," he says. "It's an important part of who I am. I remember feeling very early on, feeling more moved by that than I could imagine being moved by anything else. I feel like I have an allegiance to beauty in music. If there's anything I can do to make something more beautiful, I will work tirelessly at that pursuit because for me, it's worth it. And if I can come close to moving another person the way I have been moved  what I am doing is more than worth that." And that's why classical is cool.